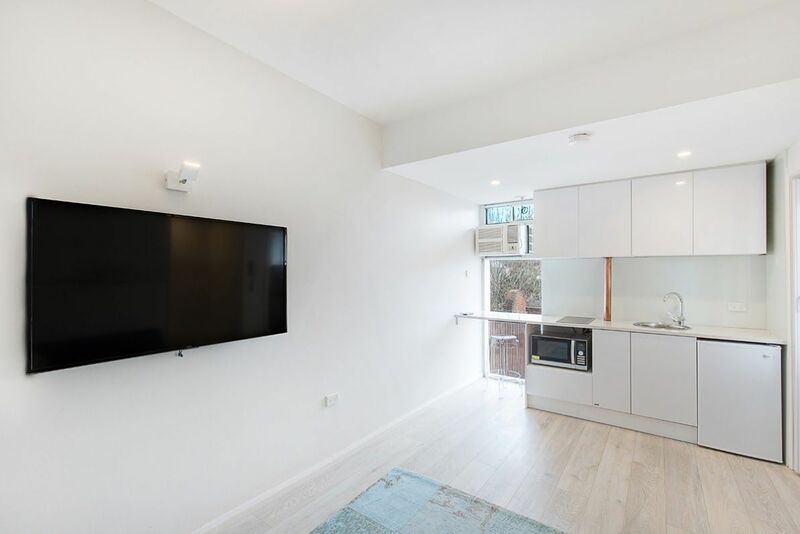 Located in the heart of Woolloomooloo, this light-filled furnished apartment is ideal for those seeking a superb lifestyle property that ticks all the boxes. Smartly renovated with comfortable living in mind and only a short walk to the CBD and harbour forshore this is the perfect inner city pad. Entrance to the building is from Plunkett Street. We are delighted to welcome Grace to our management division here at RichardsElliot. Grace comes with an extensive 8+ years of property management experience dealing with all aspects of the management industry. Grace is charged with managing a portfolio of..
Set in an Uber-cool warehouse conversion, this New York style pad is ideal for those seeking comfort, convenience & cool. 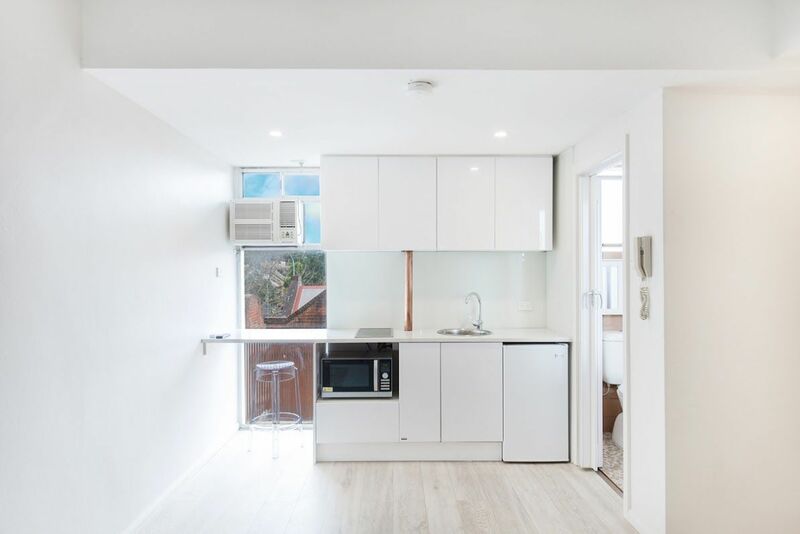 ..
Superbly situated within a desirable Elizabeth Bay enclave well positioned back from its leafy street address, this immaculately renovated studio ..
A superb first home buy or investment in the heart of Surry Hills only moments to the CBD. This well .. Located in a highly desirable pocket of Surry Hills opposite just moments to Crown Street & central Sydney, this spatial .. Situated within the Elizabeth Bay loop this sophisticated furnished apartment offers a wonderfully convenient lifestyle opportunity. Positioned at the front .. In a peaceful tree-lined street, just moments to Rushcutters Bay Park, Paddington and the areas array of colourful ammenities, this .. Located within a small security building this tidy, well-proportioned studio is enviably located at the foot of cosmopolitan Stanley Street ..
‘Liberty Apartments’ Oversized warehouse Apartment in Vibrant setting Found within the sought-after warehouse conversion, this spacious 65sqm one-bedroom apartment presents .. Located on the ground floor of a beautiful Victorian terrace this oversized one bedroom home offers a quiet rear position ..
Superbly presented and boasting a stunning North-Eastern aspect, this 1-bedroom plus study warehouse apartment is ideal for those seeking the .. Occupying a prime position along Boundary Street, this classic paddo terrace is the perfect mix of period charm, sophistication and .. This sophisticated urban retreat in the sought after “Meta” warehouse conversion combines contemporary interiors with a spacious open plan design .. This stylishly presented security apartment boasts a supreme spacious open-plan layout with plenty of room for relaxing or entertaining. Part .. This is the quintessential lifestyle apartment with sweeping panoramic city views, space and light. 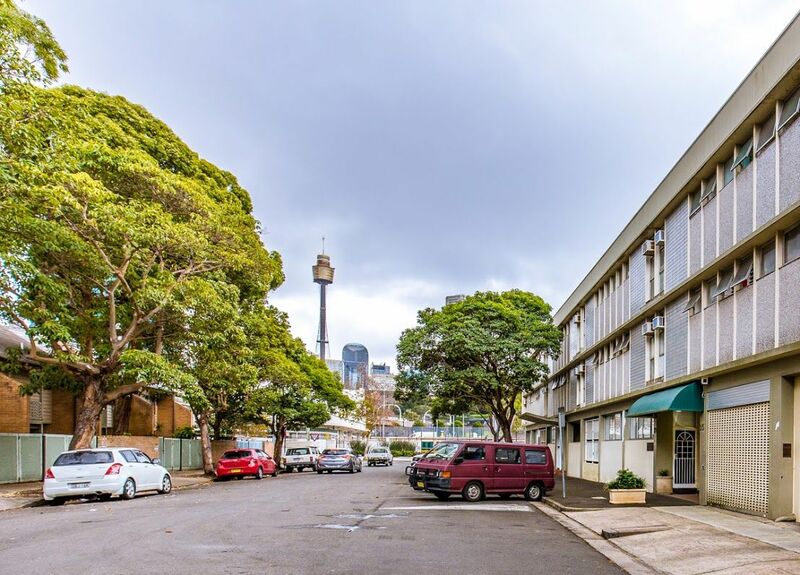 As you enter the apartment (via ..
Set along one of Sydney’s most vibrant streets just moments to the CBD, this apartment ticks all the boxes with ..
Light & Bright Art Deco Apartment - Fab Location! Set within one of the area’s finest Federation era buildings, this spacious two-bedroom apartment with high ceilings offers the best .. Located in a small boutique block this large 1 bedroom apartment offers a superb mix of quality design, privacy and .. This well-presented furnished studio apartment located in the heart of Elizabeth Bay within the iconic ‘Aquarius’ complex designed by Harry .. Enjoying a quiet rear position in the building, this split level apartment is the perfect inner city haven. Open plan .. This stylish Art Deco apartment offers generous interiors throughout; high ceilings and large windows allowing plenty of natural light. Two ..
Modern and spacious by design this renovated apartment offers open plan living with your own private, full width balcony. Sleek ..
Set on a quiet street within a modern, tightly-held complex, this townhouse-sized apartment is quiet & private alongside offering excellent .. Commanding a high corner position in what is unquestionably one of inner Sydney’s most prestigious communities, this impressively spacious apartment .. Located within the award-winning ‘Moore Park Gardens’ complex, this property enjoys a bright and open aspect over Surry Hills and .. Beautifully renovated terrace. Full of natural light, free flow indoor/outdoor design with exceptional finishes throughout. – Open plan living/dining leading ..
Light, spacious and welcoming, this recently completed pad offers an enviable top floor position within the ‘St Anthony’s’ building. Accommodation .. Taking pride of place on the northern corner of the complex, this stunning apartment combines privacy, light and comfortable living .. Positioned within a sought-after Darlinghurst enclave, this top floor apartment blends stylish updates, smart finishes and old world charm seamlessly. ..
With an enviable top (6th) floor position, this great apartment offers an executive lifestyle in the converted warehouse building ‘Lacey .. Positioned only moments from Maroubra Beach, this oversized 3 bedroom apartment represents the ideal family home. Set within a small .. 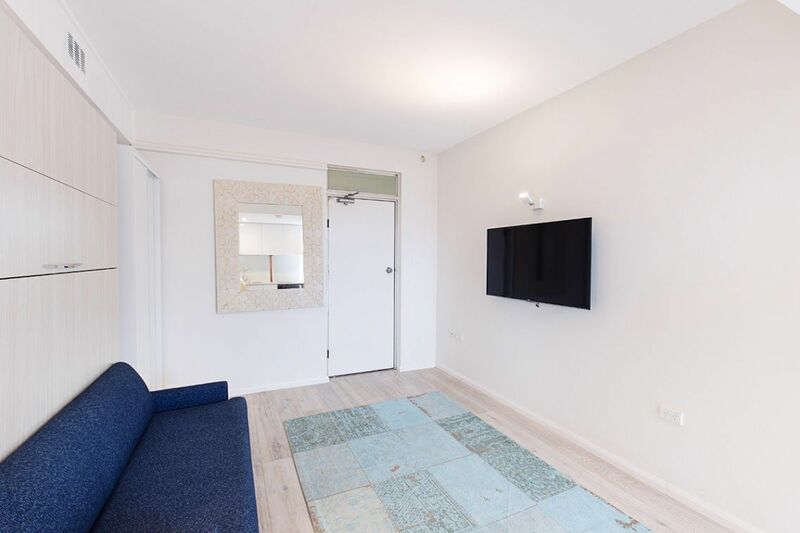 Located on the second floor of the sophisticated ‘Delano Apartments’, this New York style pad offers stylish interiors, convenience and ..
A gorgeous, fully furnished urban retreat full of natural light, ambience & style. A well maintained apartment with striking dark ..
‘Taylor Grand’ – Private & Modern Pad with Courtyard With smart and stylish interiors and an inviting plan that encourages .. Located in the ‘Manhattan’ building just a short stroll to the CBD and some of the inner-city’s hottest spots, this .. In a peaceful lane way setting, that occupies a second floor position within a well maintained security building – ideally ..
An exceptional dual level loft located in the Hart Building, this apartment offers a sophisticated lifestyle with interiors boasting with .. In one of Surry Hills’ best locations, surrounded by parks, trees and cafes, this unique apartment is set over two .. In a peaceful laneway setting, this charming freshly repainted 2-bedroom plus sunroom apartment occupies a rare ground floor position within .. Occupying the lower level of a beautiful Victorian terrace comes this gorgeous self contained apartment. A free flowing layout opening .. Oversized designer apartment – Pet friendly Light, spacious and welcoming, this brand new designer pad offers an enviable position within ..
Boasting a desirable location, this recently updated apartment creates instant appeal with its light and airy aspect. Located in the .. This modern apartment is ideally located in the sought after ‘Waratah Gardens’ building, which boasts huge rooftop entertaining area and ..
Live in style and comfort in this brand new opulent boutique residence. Positioned on the 9th floor of the brilliantly .. Beautifully Presented Art Deco Apartment Set away from the street within lush gardens, this freshly painted apartment is flooded with .. Located in the heart of Woolloomooloo, this light-filled furnished apartment is ideal for those seeking a superb lifestyle property that .. Occupying a prime position only moments to Crown Street, this charming terrace is the ideal lifestyle property with great functionality. ..
Set well away from the street, this open plan apartment offers absolute peace & privacy within a security building. With .. This sophisticated lifestyle apartment which is set on the 7th floor of the sought after ‘Sydney Mansion combines contemporary interiors ..
Set within the highly sought after ‘The Addison’ complex in the heart of Surry Hills, this apartment is defined by ..
A truly stunning apartment with an intelligent split level layout, this lovely home features generous proportions and a radiant sensibility, ..
Two Storey, Top Floor, Stroll to Victoria Street A stylishly, secure haven in the heart of vibrant Darlinghurst, this two-storey .. 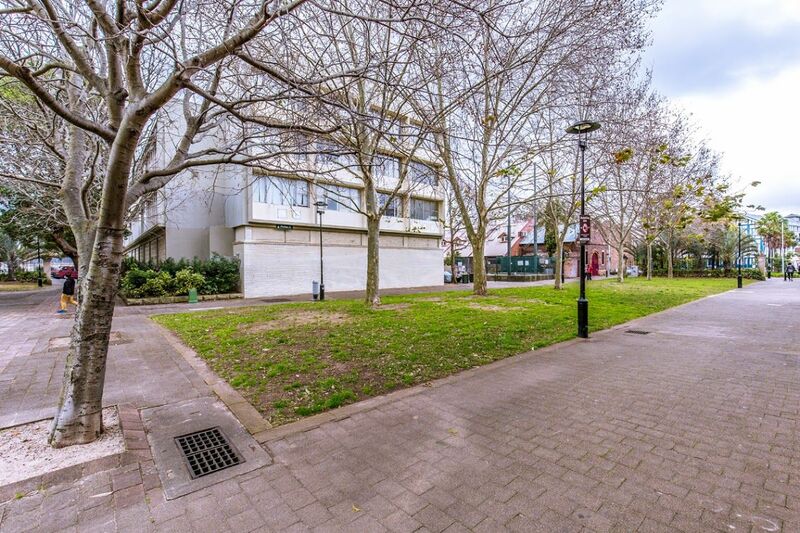 The Madison – Location, Light & Functionality Set in one of Surry Hills’ best locations, surrounded by parks, shops & .. This inner city pad captures the essence of comfortable warehouse living. As you enter the apartment you will notice the ..
Reminiscent of a New York style loft, this split-level apartment occupies a prime north-facing corner position within the highly acclaimed ..
Set in one of Surry Hills’ best locations, surrounded by parks, trees and cafes, this unique split-level, loft-style pad covers ..
“Chic, Warehouse Apartment” Nestled in the cafe district of Surry Hills, this apartment offers an enviable lifestyle within a converted .. Spacious Executive Apartment; Outdoor Terrace Capturing City Views Set on the 3rd floor & occupying the coveted North-East corner of ..
Set on the 6th floor of the prestigious ‘Mark Foys’ warehouse re-development, this spacious, open plan executive apartment is being ..
Set in one of Surry Hills’ best locations, surrounded by parks, trees and cafes, this unique apartment is set over .. In a peaceful tree-lined street, just moments to Rushcutters Bay Park, Paddington and the area’s array of colourful ammenities, this ..
‘The Wroxton’ – A Bright & Spacious art deco pad with loads of charm This stylish art deco apartment offers ..
Low Maintenance Modern Duplex This oversized modern two storey duplex offers everything you want in a convenient location. The ground .. Located within a highly sort after security complex this apartment comes with resort style facilities including a heated indoor pool, .. Located only moments to world renowned Bondi Beach comes this classic beach side pad. Perfectly positioned, this two bedroom apartment .. Convenient City Fringe Living in ‘The Marbury’ Just a stones throw to the CBD this spacious and contemporary apartment is ..
Pet Friendly, Spacious & Convenient Split level Pad This split level apartment is spread over 102 sq m and benefits ..
A lifestyle home – Spacious, modern & conveniently located Ideally located only a stroll from Surry Hills, Redfern & Waterloo, ..
Uber Cool Loft-style Apartment Design by award winning BKH architects, this uber cool apartment features oversized windows (with automatic blinds), .. SPACIOUS & MODERN LIVING – VIBRANT PRECINCT Light, spacious and welcoming, this apartment offers an enviable position within the ‘Tiara’ .. SPACIOUS & CONTEMPORARY WITH A CLASSIC TOUCH In a peaceful tree-lined street, just moments to Prince Alfred Park, Surry Hills .. Unique Penthouse with Commanding City Views A rare opportunity to occupy one of two penthouse apartments within this conveniently located .. Newly Updated Apartment in a Convenient Location Positioned on quiet side of Cathedral Street, this one bedroom apartment has a ..
With an enviable North-Easterly aspect, this apartment offers an executive lifestyle within the ultra-popular converted warehouse building ‘Lacey on Cooper’. ..
A lifestyle Pad with Commanding Harbour Views Holding prime position along the Potts Point ridge, this modern 1 bedroom apartment .. Unique & Contemporary Warehouse Apartment With an enviable top (6th) floor position, this great apartment offers an executive lifestyle in ..
A lifestyle Property in the Heart of Potts Point – City & Harbour views Set on the fourth floor and ..
EXECUTIVE, RESORT-STYLE APARTMENT WITHIN ‘VIVERE’ Set on the top floor of the coveted ‘Vivere’ development, this light-filled apartment offers superb ..
High Quality Renovation in Superb Location This spacious apartment offers an enviable position within the complex. With newly renovated kitchen, .. Spacious & Versatile within the Heart of the Hills Set within the sought-after ‘Habitat’ development, this spacious, intelligently designed apartment ..
Nestled amongst the lifestyle of Bondi and walking distance from beaches and renowned coastal walks, this two bedroom apartments enjoys .. Sunny beachside pad in superb North Bondi location Located only moments to world renowned Bondi Beach comes this classic art ..
Daton Lofts’ – New York Style Warehouse Ambient interiors with an outlook across the city define this bright south west .. The perfect inner city residence in one of Inner Sydney’s most desirable locations, this sophisticated apartment boasts all the conveniences .. Positioned on the 4th floor within Lacey on Cooper, this light & bright apartment features high ceilings, district views and .. This stylish Art Deco apartment offers generous interiors throughout; high ceilings and large windows allowing plenty of natural light. The .. Located on level 10 of the coveted “Mirage” development, this fully air-conditioned, North facing apartment offers convenient Inner City living .. This sophisticated lifestyle apartment (over 140sq approx.) which is set in the sought after “Carlisle” building combines contemporary interiors with .. Chic Penthouse Living within ‘The Cristo’ Light, spacious and welcoming, this split level penthouse apartment offers an enviable position within .. Quietly positioned at the rear of the complex, this light filled and spacious apartment enjoys convenient living in one of ..
Set at the rear of the highly desirable ‘Vivere’, this apartment offers a superb lifestyle opportunity. Overlooking the pool and ..
A Unique & Incredibly Spacious Studio Set well away from the street, this perfectly cared-for, open plan apartment offers absolute .. Warehouse Apartment with Balcony & Convenience Quietly positioned at the rear of the complex, this spacious apartment enjoys convenient living .. Located on the ground floor of a beautiful Victorian terrace comes this level access studio apartment. A free flowing layout .. Occupying a prime position only moments to Queens Park and Bondi Junction, this charming terrace is the ideal lifestyle property .. Ideally located in the heart of vibrant Redfern is this spacious one bedroom apartment, bathed in natural light and nestled ..
A true lifestyle apartment with panoramic views over Five Dock Bay. Combining a good mix of space, light and modern .. This sophisticated lifestyle apartment which is set on the 7th floor of the sought after “Mark Foys” building combines contemporary .. Inner City Living – Stunning Harbour Views Situated within the vibrant precinct that is Potts Point, this bright and light ..
Set away from the street within lush gardens, this apartment has been lovingly cared for & tastefully renovated by its ..
Iconic Sydney heritage meets the architecture of PopovBass in this luxurious two bedroom pad within the ‘Griffiths Teas’ complex. A ..
A truly stunning apartment with state of the art finishes in a superb location. Accommodation includes double master bedroom & ..
Light, spacious and welcoming, this apartment offers an enviable position within the ‘Tiara’ complex in a vibrant neighbourhood close to .. Ideally located in the vibrant Surry Hills is this spacious split level 1 bedroom apartment, bathed in natural light and .. Taking pride of place within “Brentwood Gardens” this light-filled apartment offers a wonderfully convenient lifestyle – just minutes to Potts .. Positioned within a sought-after Elizabeth Bay enclave this Art Deco apartment holds a supreme position within ‘Kingsley Hall’. With excellent .. This sophisticated lifestyle apartment which is set within the sought after ‘Giorgio’ building combines contemporary interiors with a spacious open .. Enjoying a peaceful rear top floor setting in a boutique block of eight, this fabulous beach pad opens to a ..
A truly stunning apartment with state of the art finishes and attention to details. Modern bathroom, Caesar stone gas kitchen ..
Space, light & functionality; Uber cool Warehouse Pad In one of Surry Hills’ best locations, surrounded by parks, trees and ..
Superbly Presented 1-Bedroom plus Study within ‘The Quadrant’ Set with the unique ‘Quadrant’ development this spacious executive apartment offers excellent ..
Design by Candalepas Associates within the highly acclaimed deNode complex, this uber cool apartment features seamless open plan living at .. Taking pride of place within the ‘Darlington’, this newly updated apartment is set over an expansive floor space leading to .. This spacious ground floor apartment offers an enviable position within the complex. Light, spacious and welcoming with an open aspect .. This apartment Includes 2 bedrooms, over-sized living area, 2 bathrooms, internal laundry, secure parking and ample storage. The Mirage, is ..
Sleek designer interiors are infused with cool industrial flavour and uplifting sense of space in this AJ+C designed warehouse apartment. ..
Set on the top floor of the coveted ‘Princes Gardens’ building this open plan apartment offers excellent natural light, absolute .. In the heart of Surry Hills’ gallery precinct, this uber cool apartment is full of natural light & comes with .. This is the perfect beachside pad – stylish and spacious, offering ocean views from every room and only a short .. In a peaceful tree-lined street, just moments to Prince Alfred Park, Surry Hills & Redfern this classic terrace takes pride .. Positioned within the heart of Sydney’s CBD, just a stones throw to Darling Harbour & Pyrmont, this contemporary apartment is .. Positioned within a sought-after Darlinghurst enclave, this top floor apartment blends stylish finishes with period charm. With excellent light a ..
A spacious studio apartment set in the heart of the CBD. Convenience at your door with buses, trains, parks, restaurants .. Located in a highly desirable pocket of Surry Hills opposite ‘frog hollow’ reserve, this beautifully presented terrace home represents an ..
Set within the highly sought after ‘Princes Gardens’ on the fringe of Surry Hills, this fully furnished open plan apartment ..
Set within the enviable Delano warehouse conversion, this spacious apartment offers both comfort & style at its best. Light and .. Located in the heart of Woolloomooloo, this light-filled apartment is ideal for those seeking a superb lifestyle property that ticks ..
Tucked away in a quiet urban laneway, this modern courtyard apartment offers a lifestyle of carefree convenience perfectly suited to .. This light filled studio apartment is located only a walking distance from shops, transport, pubs and cafes. A security block .. Taking pride of place in the northern corner of the block, this stunning apartment is set over two levels with .. This classic 1930’3 bungalow has 3 bedrooms 1 bathroom, a large internal laundry, spacious living/dining area which opens onto both ..
A flawless designer renovation has transformed this Victorian terrace into a stylish tri level family home on one of Redfern’s ..
Set within one of the area’s finest Federation era buildings, this spacious two-bedroom apartment with high ceilings, new carpet and ..
A rare opportunity to occupy one of two penthouse apartments within this conveniently located complex. A quintessential lifestyle apartment with ..
Immaculately presented two bedroom home situated in Redfern’s most sought after streets. Featuring; – Soaring ornate ceilings – Two double ..
‘LILYDALE’ IDEAL LOCATION – LIGHT FILLED STUDIO SPACE This studio apartment offers a great opportunity to move into one of ..
Design by award winning BKH architects, this uber cool apartment features oversized windows (with automatic blinds), views & warm northern .. Impressive Two bedroom apartment - "Mirage"
Located on level 8 of the coveted ‘Mirage’ complex, this fully air-conditioned apartment, offers convenient Inner City living coupled with ..
A stylishly, secure haven in the heart of vibrant Darlinghurst, this two-storey top-floor apartment is found within the well maintained .. Located within a small security building this tidy, well-proportioned studio is located at the foot of cosmopolitan Stanley Street & .. Located on level 10 of the coveted ‘Mirage’ complex, this fully air-conditioned apartment, offers convenient Inner City living coupled with .. Designed by award winning architect ‘Allen Jack + Cottier’ this apartment features a stunning open free-flowing interiors spilling onto the ..
A former mechanic’s warehouse transformed into a urban sanctuary of just 4 dwellings, this wonderful inner city retreat showcases a ..
Set away from the street within the new luxury development ‘Alpha’, this spacious & beautifully finished apartment has never been ..
Set in one of Surry Hills’ best locations, surrounded by parks, shops & cafes this is the ideal lifestyle pad. ..
Set on the top floor of the coveted ‘Vivere’ development, this light-filled apartment offers superb resort-style living with an executive .. Located in the harbourside suburb of Potts Point, this neatly updated apartment is ideal for those seeking a convenient base .. This fully renovated apartment is ideally located in the sought after ‘Waratah Gardens’ building, which boasts huge rooftop entertaining area .. In a peaceful laneway setting, this charming 2-bedroom plus sunroom apartment occupies a rare ground floor position within the grand .. INSPECTION CANCELLED!! This contemporary 1 bedroom apartment is a comfortable inner city abode. Your very own peaceful and private retreat ..
Set well away from the street, this perfectly cared-for, open plan apartment offers absolute peace & privacy within a resort-style .. Positioned in the heart of the Surry Hills fashion district, this spacious, light-filled apartment enjoys open plan indoor/outdoor living at ..
A true lifestyle apartment with panoramic views over Five Dock Bay . Combining a good mix of space, light and ..
A Spacious light filled 2 bedroom loft apartment set on the top floor of the iconic ‘The Vintage’ complex, cnr .. This classic 1930’3 bungalow has 3 bedrooms 1 bathroom a large internal laundry, large living/dining area which opens onto both ..
A well-presented family home located on a quiet family orientated street. Boasting 3 double bedrooms and off-street parking for up ..
Set just off Crown Street in the incredibly popular ‘Darlington’ building, this unique executive apartment offers a superb layout of .. Located along one of Darlinghurst’s main business strips this modern space offers a supreme location in the heart of the .. This well-presented studio apartment located in the heart of Elizabeth Bay within the iconic ‘Aquarius’ complex designed by Harry Seidler. ..
Don’t miss this rare opportunity to lease a charming terrace in what is arguably the best position in Surry Hills. ..
Quiet and private, the apartment has a generously proportioned layout with a tiled foyer, large main bedroom (with big ensuite .. 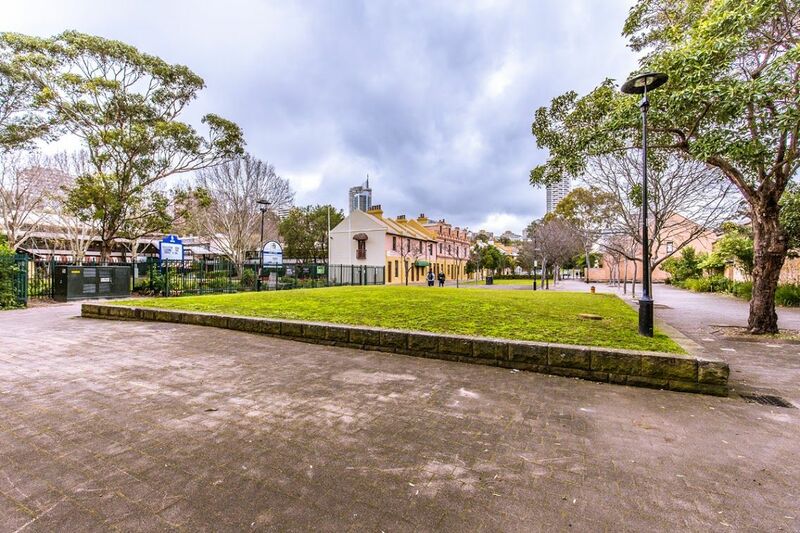 In a super cool location just moments to the harbour foreshore and a short drive to Bondi Beach, this appealing ..
Do you require assistance with arranging finance, or would like a second opinion on your borrowing capacity? There are many aspects of the site, which can be viewed without providing personal information, however, some features may require you to submit personally identifiable information. This may include but not limited to a unique username and password, or provide sensitive information in the recovery of your lost password. We may occasionally hire other companies to provide services on our behalf, including but not limited to handling customer support enquiries, processing transactions or property repairs and maintenance. Those companies will be permitted to obtain only the personal information they need to deliver the service. We take reasonable steps to ensure that these organisations are bound by confidentiality and privacy obligations in relation to the protection of your personal information. For each visitor to reach the site, we expressively collect the following non-personally identifiable information, including but not limited to browser type, version and language, operating system, pages viewed while browsing the Site, page access times and referring website address. This collected information is used solely internally for the purpose of gauging visitor traffic, trends, analysis and delivering personalised content to you while you are at this Site. From time to time, we may use customer information for new, unanticipated uses not previously disclosed in our privacy notice. If our information practices change at some time in the future we will use for these new purposes only, data collected from the time of the policy change forward will adhere to our updated practices. You have a right to access your personal information, subject to exceptions allowed by law. If you would like to do so, please let us know. You may be required to put your request in writing for security reasons. T. Richards Holdings Pty Ltd reserves the right to charge a fee for searching for, and providing access to, your information on a per request basis.